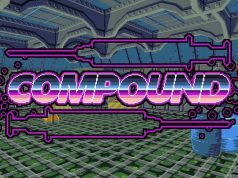 A series of Early Access updates to Compound have brought a handful of fun new weapons to the game’s 8-bit rougelike gameplay, culminating in a “massive overhaul” which introduces new enemies and offers SteamVR Input for custom input binding between controllers. 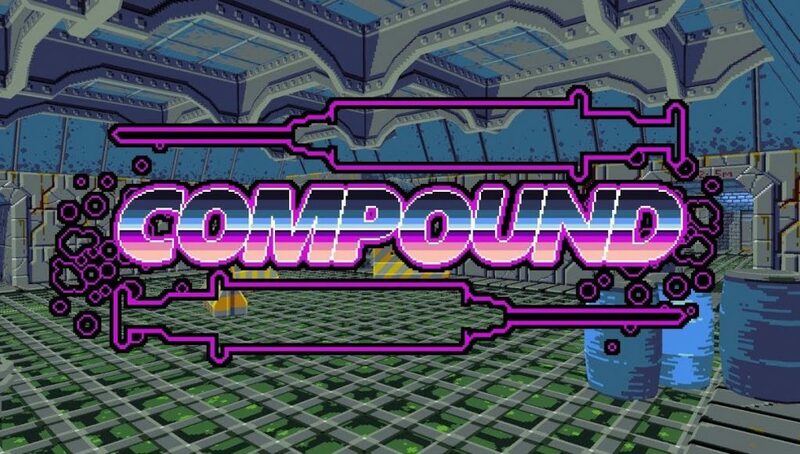 Compound is a unique indie VR game which recently received Road to VR‘s 2018 Design Award for Excellent in Indie Development. 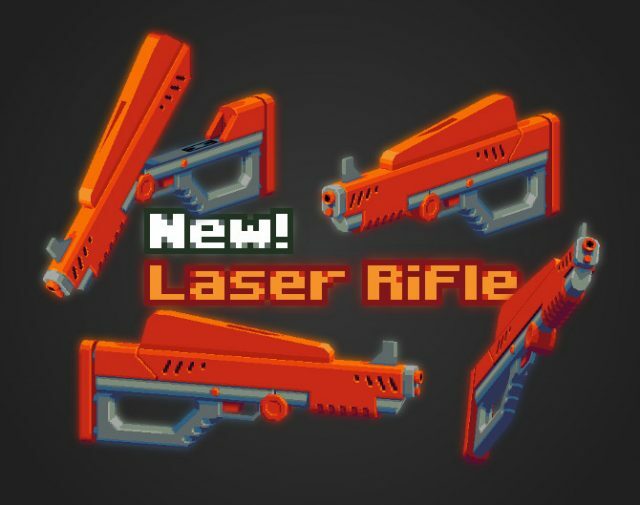 The game is defined by its authentic 8-bit style, procedurally generated level layouts, and fun interactive weapons. With sole developer Bevan “NotDead” McKechnie recently transitioning to working full time on the project, we’ve seen a string of Early Access updates in the last few months which have collectively brought several new weapons, a new environment, and various tweaks to gameplay. New weapons include the Assault Rifle which McKechnie describes as a “sidegrade” over the existing SMG. “It’s very accurate, especially when fired in small bursts. The longer you hold down the trigger, the less accurate it will be, but the first shot or two will also be perfectly accurate. 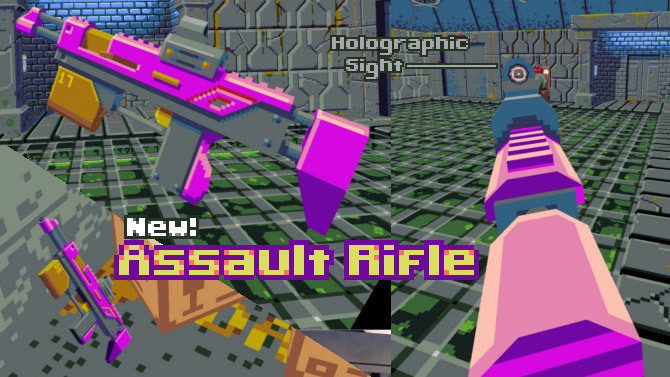 The assault rifle also features holographic sights. Much better than the SMG at medium to long ranges, but still loses to the SMG in raw DPS (damage per second) at close range,” he wrote in the update. There’s also the Bouncer Shotgun, “At first, it might seem underpowered, but with mastery it becomes a versatile weapon at all ranges. And for those times when you need some explosive power, there’s the Rocket Launcher. “As you can probably guess, the rocket launcher fires an explosive projectile that travels in a straight line and explodes on impact. Splash damage can be used to great effect.” The same patch also brought a new holographic sight to the Railgun. As before, the four new weapons each have their own unique sounds, loading, and reloading mechanics which bring intrigue to their operation. 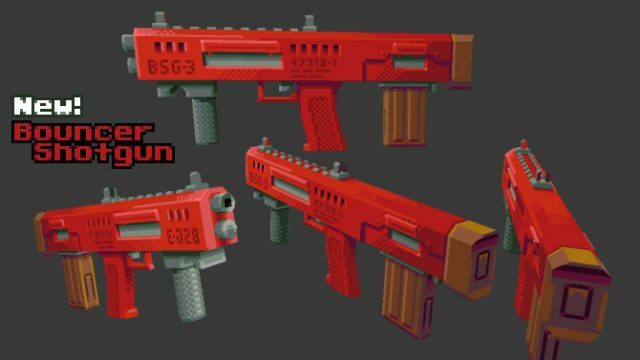 The Laser Rifle in particular has a wonderful charging sound effect just before it releases its deadly barrage, while the bullpup design of the Bouncer Shotgun forces you to reload in a way that feels different than the other magazine-fed weapons. 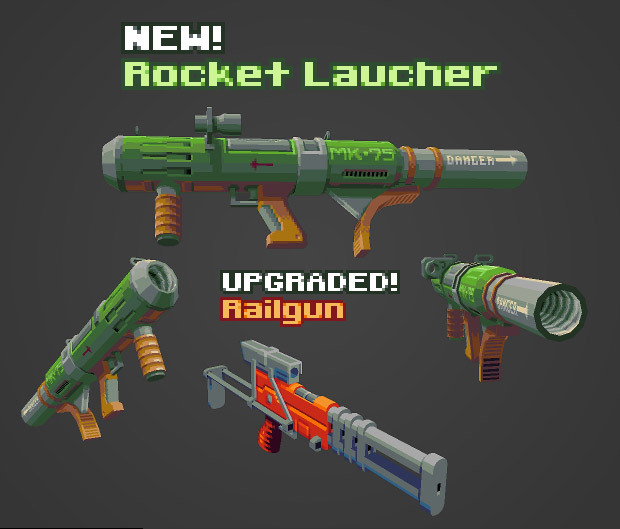 The Rocket Launcher packs a punch but reloading isn’t something you’ll want to do in the heat of battle as you’ll need to tilt it far forward and stick a new rocket in the back before reshouldering and taking aim. Following the weapon updates, V0.1.14 brought a new “Executive” map environment, and a more detailed city skybox. Released just last week, McKechnie says that V0.2.0 represents a “massive overhaul.” First and foremost the update adds a new Railgun Stalker enemy which will deal big damage if you can’t dodge or get out of line of sight. There’s also a new variant of the Drone enemy, the Rapid Fire Attack Drone, which has rapid fire machine guns. In this update players can also dual wield weapons. Part of the “massive overhaul” in V0.2.0 comes under the hood, as Compound has been upgraded to SteamVR 2.0 API, which brings support for upcoming hardware like Valve’s Knuckles controllers, and allows users to adjust inputs on existing controllers as they see fit thanks to the SteamVR Input system. That means that you can go to the Devices menu under SteamVR and click Controller Input Binding to decide which inputs you want to use on your controller and how they will interact with the game. I really hope the game will be available on Oculus Quest eventually. It looks like a perfect match. 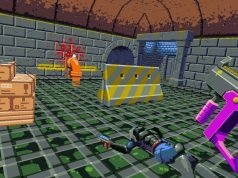 Sorry, which 8-bit platforms ran Wolfenstein 3D? 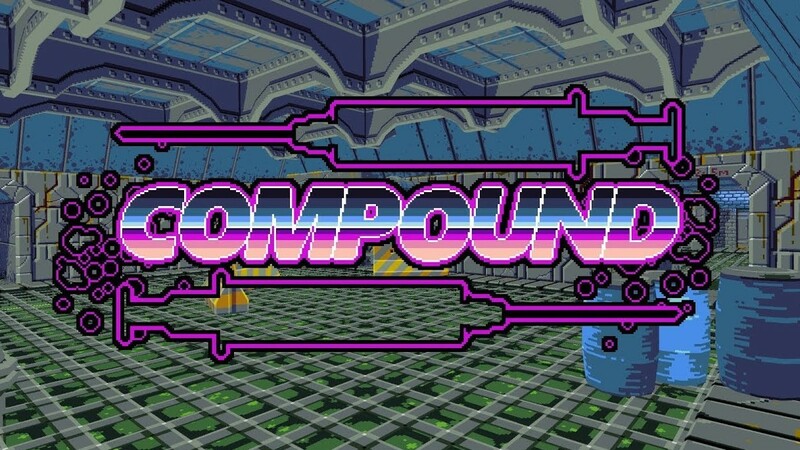 Compound is fantastic, but there’s nothing 8-bit about it. I was referring mostly to the graphical style. Is 16-bit more appropriate? I’d just call it reminiscent of early first-person shooters. Not everything with discrete pixels is 8-bit or 16-bit style, and it does get tedious seeing them referred to as such. An MS-DOS 80386/80486 game is technically 32-bit, but I think it fits more squarely in the 16-bit generation of game development. 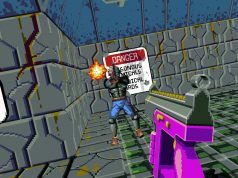 Granted, these delineations are a bit arbitrary in retrospect, with oddities like the 64-bit Atari Jaguar falling into the same window as the SNES, and overlapping with the PS1, it does seem like colloquial use of 16-bit as a generation is still pretty accurate to games like Wolfenstein, but it is on the cusp. 8-bit definitely doesn’t work, although I could see the pixelated style and transposing that from an 8-bit 2D game to Compound as one perspective, a lot of people attribute this to Minecraft as well. A very cool game that puts you into the retro era in a virtual way. This is one of my favorite VR games. Easy to jump into and have fun. Hard to master. Always something new in the updates. I want this on psvr does it have co op!? This was not one of my better liked games at release but the solid updates and active response by the dev have really helped it grow into one of my most played games for when im in a vr mood but don’t know what to play.